This is a 1968 photo of Herman Ferguson. He was the education chairman of South Jamaica CORE (SJ CORE) but was not a member of CORE. His career as an activist, however, began with other members of CORE in Queens. An assistant principal at PS 40 (one of the very few in the city who were Black) and involved in the I.S. 201 protests over community control, he was the education chairman under Stanley Hamilton. He was first arrested as an activist for climbing construction cranes with SJ CORE members Franklin Anderson and Andy Young at the 1963 Rochdale Village demonstrations. CORE members were at the beginning of his Rochdale Movement that followed. He was also a member of the Organization of Afro-American Unity (OAAU), the secular group founded by Malcolm X after he left the Nation of Islam. In June of 1967, as head of the the Jamaica Rifle and Pistol Club, Inc. he was part of a group ‘charged with conspiracy to commit arson and anarchy as part of an alleged “black revolutionary” plot’ and with plotting to assassinate Roy Wilkins, head of the NAACP and Whitney Young, head of the Urban League. Both he and his co-defendant Arthur Harris of SJ CORE were also members of The Revolutionary Action Movement (RAM) and became leaders in the Republic of New Africa during their cases. Both were convicted and sentenced to 3/1/2 – 7 years. At the time Ferguson was 46 years old. Out on bail (which had been posted by Hamilton Banks of Queens CORE and the Fredricks of Brooklyn CORE) , both escaped to Guyana after their appeal was denied. Ferguson continued as an educator in Guyana and also became a lieutenant colonel in the Guyana Defense Force. Harris left Guyana at some point, believed to be living in Europe. Ferguson returned to the United States in 1989 to answer the charges, a move that was instigated by long time supporter Sonny Carson of Brooklyn CORE. The resulting trial uncovered documents from the FBI proving that he had been a victim of COINTELPRO in regards to his conviction. He still wound up serving time was not released until 1996 when Judge Bruce Wright intervened. According to his FBI documents, his case file was opened because he was a member of the OAAU. However, his court papers reveal that the FBI’s investigation may have begun as early as the summer of 1963*. This would have been when he joined the demonstrations at Rochdale Village and a few weeks before his crane climbing action. It implies that the FBI’s investigation of him may have started just as he became involved with Queens CORE. One of the most telling statements about Ferguson came from an interview with a former Queens CORE member who stated they were shocked when he was arrested. "We all thought he was a nerd." - note: Max Stanford, the field chairman of RAM, was also arrested as part of the conspiracy to kill Wilkins and Young. Stanford had been a member of CORE while a student at Central State University in Wilberforce, Ohio. 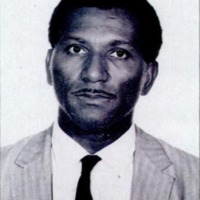 “photo of Herman Ferguson, South Jamaica CORE,” corenyc.org, accessed April 21, 2019, http://www.corenyc.org/omeka/items/show/227.